Our clinic takes place on the 2nd and 4th Saturday of every month! 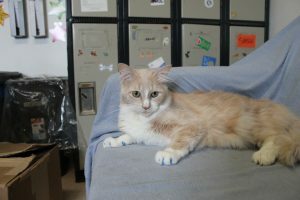 Soft paws are a humane and safe alternative to declawing your cats. 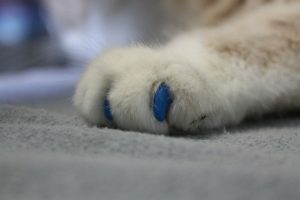 A nail cap is placed over the cats’ nails without impeding the normal extension or retraction of your cat’s nails. The adhesive used with the nail caps is safe and non-toxic! Each application lasts about 4-6 weeks. 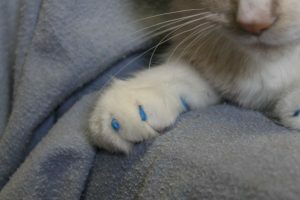 This is a great way to prevent problem or accidental scratching from your cats! Call to book an appointment at 519-824-3091! Check out our events calendar to find out when the next clinic takes place.